Dimensions Furniture, Inc. is a furniture designer and manufacturer that produces furniture for internet and catalog based retailers. These retailers tend to request a large number of models, with low volumes. This type of distribution is quite different from big-box retailers who request a much smaller number of models, but at higher volumes. Prior to using Evolve, Dimensions primarily worked in a 2D environment using tools like Adobe Illustrator to create initial designs and Adobe Photoshop to apply materials. Five years ago, Dimensions determined that in order to churn out enough designs to create the volume of models required, it would need to incorporate a better design tool into its process. When working on an initial design, customers of Dimensions Furniture typically provide Dimensions’ designers with a set of “inspiration images”. These images serve as a starting point for the design of a particular product. “Evolve has allowed us to grow as a company in terms of providing our customers what they want within a very short timeline in comparison to our competition,” notes Ryan. “With Evolve, we are able to produce rendered samples in just a few days which is a timeframe that none of our competition can even come close to.” Dimensions noted that every model it produces or provides pricing on always starts in Evolve, “It is just so efficient for us,” noted Ryan. Jared noted, “The ability in Evolve to render a design on the fly with built in dimensions has been key for us, not only does it allow us to show our buyers what the final product will look like, but also allows us to pass these files directly to our manufacturing teams for conversion into CAD files and ultimately production.” The sample creation process is extremely expensive and time intensive so having buyers sign off on a photorealistic rendering helps to greatly expedite the process. After first seeing initial design concepts, buyers often want to have their own thumbprint on the final outcome and suggest changes. Design a plethora of new models to satisfy Internet retailers who require a large variety of products, at low volumes. A process incorporating Evolve is used to design and render furniture products for presentation to buyers and handoff to manufacturing teams. 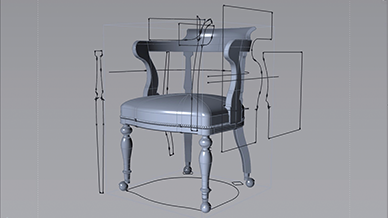 Over 100 furniture models designed in Evolve. Faster workflow from design to production than competition. Ability to make changes on the fly based on buyer feedback. Direct handoff of 3D model created in Evolve to manufacturing teams. “Evolve’s Construction Tree history allows us to seamlessly go back and edit our models without having to start the process over,” noted Jared, “this is key to help expedite our timeline." 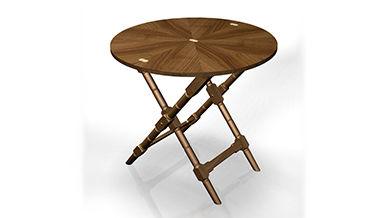 Using Evolve, Dimensions Furniture has been able to efficiently design and produce over 100 different furniture models including chairs, stools, tables, and bed frames. Evolve has helped to expedite the time needed to go from initial concept design all the way to production. With the help of Evolve, the design team at Dimensions furniture is growing, two new members have recently joined and are already trained in Evolve. 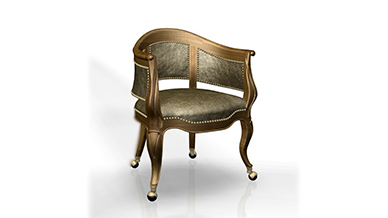 Dimensions Furniture is an Indiana based furniture importer for internet and catalog retailers. Dimensions provides its customers with a wide array of services including; custom design capabilities, marketing support, and in house customer service.